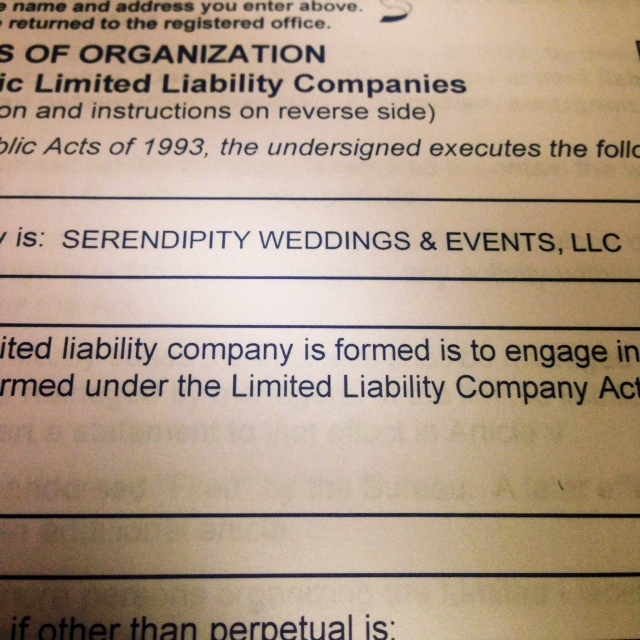 Today was a big day for Serendipity Weddings & Events! We have filed our LLC! The Name is officially ours! This entry was posted in Serendipity News! and tagged event planning, LLC filed, serendipity weddings and events, southeast michigan, wedding planning. Bookmark the permalink.